It’s a fact: men’s grooming is booming. The stigma around male grooming is, finally, no longer and we think that’s a great thing – why should men’s skin deserve any less care than women’s? 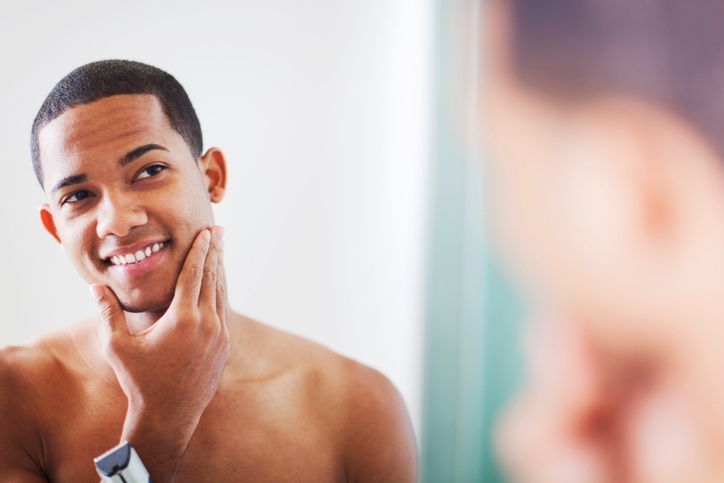 In this blog, we focus on some top products and tips for men’s skincare, focusing on cleaning, exfoliating, post shave, sun protection and beard maintenance. Ensuring that your skin is as clean as possible is the best way of minimising blemishes, acne and irritation. Cleansing should be the foundation of any skincare regime and a morning and evening ritual. Keeping your cleanser in the shower or by the sink helps to make it an easy habit. While there are thousands of cleansers on the market, we like to split them into 2 categories: Daily cleansers, which are gentle enough to be used morning and night, and Scrubs / Exfoliators, which help to rid your skin of dead cells and give a deeper cleanse. This face wash, specifically designed for men by Neutrogena, is an oil-free foaming gel cleanser that cleans deep down to the pores without over-drying. Thanks to Vitamin E and menthol, this wash gently cleanses the skin, removing dirt and excess oils. If you have a beard, a sensitive face wash will also help to soften the hairs for a smoother shave. Dermatologically approved by men with sensitive skin and in lists of men’s best moisturisers, this is a truly great product. For dry skin, this face wash does a great job of cleansing your skin while still leaving it moisturized. Great for keeping it topped up with moisture as part of your cleansing regime but also a good quick fix for the gym bag if you’re washing in a hurry and don’t have time to moisturize on top. This scrub is recommended for use 2 – 3 times per week. A foaming gel with extra fine scrubbing particles, Vitamin E and minerals, it deeply cleanses to unblock pores and smooth your complexion. We love it! The Cantu Men’s Cleansing Pre-Shave Scrub helps minimize ingrown hairs, exfoliates the skin and hydrates and calms the skin with shea butter and hemp seed oil. Made with no sulfates parabens or mineral oils, you can enjoy its natural goodness too! Moisturising is so important…it helps to protect your skin against ageing, make it silky smooth to touch and can even make your skin less prone to irritation. We have split the moisturising products we recommend into 2 categories: General Moisturisers and Post Shave Balms. General moisturisers are great for everyday; they’re lighter than post shave balms but it’s still worth checking the labels to see which will suit your skin type best. Post Shave Balms are brilliant for helping to minimise redness and prevent skin from drying out as shaving can dry and tighten the skin. If you have sensitive, ageing or really dry skin however, post shave balms can also work well as a thicker daily moisturiser. This 2-in-1 moisturizer not only helps to keep skin hydrated and smooth but minimises the appearance of ingrown hair bumps in just four weeks thanks to Zinc and Allantoin. Apply moisturiser to entire face after cleansing. This product does not contain SPF, so we recommend using SPF on top to help protect against sun damage. With Pro-Retinal A to help reduce wrinkles and firm up the face and neck, this moisturiser also has an ‘Active Defence System’ (ADS), L’Oréal’s patented system that protects your skin against irritation and helps to reduce redness, burning or tightness. This product does not contain SPF, so we recommend using SPF on top to help protect against sun damage. Meet the Neturogena’s #1 moisturiser for men with sun protection. For a product that does it all in one, this is your answer: soothe razor irritation, moisturise dry skin, help fight the signs of ageing and protect against sun damage in one go. With a light SPF 15 and clinically tested, fragrance-neutral formula, the Dove Men + Care Sensitive Face Lotion is a great daily moisturiser which absorbs easily and helps to keep skin calm and smooth. With their signature mint scent, this is a truly refreshing product both for its uplifting smell as well as its 2 in 1 function! A vegan face lotion made with many naturally derived ingredients such as Menthyl, soothing Chamomile, protecting Vitamin E and hydrating Shea Butter, this product is suitable for both daily use as well as post shave hydration. Specially formulated to soothe razor burn, this shave balm is a cult product which delivers all day hydration. Formulated with Vitamin E and SPF 15, it takes action against irritation from everyday shaving and soothes skin from redness, razor burn and excessive dryness. This long-lasting moisturiser helps soothe and moisturise dry skin as well as soften facial hair and skin for a smoother shave. The multi-vitamin formula with conditioner calms razor irritation and heals dry, just-shaved skin. This product does not contain SPF, so we recommend using SPF on top to help protect against sun damage. This mild, non-greasy formula with Vitamin E and Provitamin B5 delivers long-lasting moisture while repairing and regenerating the skin. It’s not too heavy, so is good for a post shave balm which can be used more regularly. This product does not contain SPF, so we recommend using SPF on top to help protect against sun damage. This wonderfully moisturising product with Shea Butter and Vitamin E is a deep moisturising cream which can also help to correct spots. This product does not contain SPF, so we recommend using SPF on top to help protect against sun damage. For some reason, men don’t wear sunscreen as much as women…but it’s just as important and the damaging effects of the sun can’t be argued with. Most dermatologists recommend wearing a minimum factor SPF 30 every day as even if it’s cloudy, harmful UV rays can still be damaging our skin and increasing our risk of skin cancer. So, we’ve rounded up our favourite facial SPF products (all available in People’s!) for you to choose from…use on top of your daily moisturiser for maximum hydration and protection. It might say it’s suitable for babies, but this certified and award-winning product offers fantastic, natural and versatile protection for everyone. All natural and containing 100% Zinc Oxide Active Ingredient, the most effective and safest sunscreen ingredient, as well as skin-soothing certified organic oils in a non-greasy formula, this hypo-allergenic clear zinc sunscreen is also reef safe! You don’t have to be a golfer to love this product! Drive, the official licensed product of the PGA Tour, offers premium sunscreen with natural ingredients like healing aloe vera and anti-oxidant vitamins. Designed for easy spraying from all angles, this is the water and sweat resistant, anti-aging, ultra sheer sunscreen that’s perfect for on the go and putting on top of your daily moisturiser. Finally, to complete your facial grooming routine, condition your facial hair to achieve a youthful sheen. With a blend of essential oils and extracts that will leave your beard soft, moisturised and conditioned, the beard oil delivers a polished shine while combating dryness and flakes, fighting ingrown hairs, and leaving your beard smelling amazing. 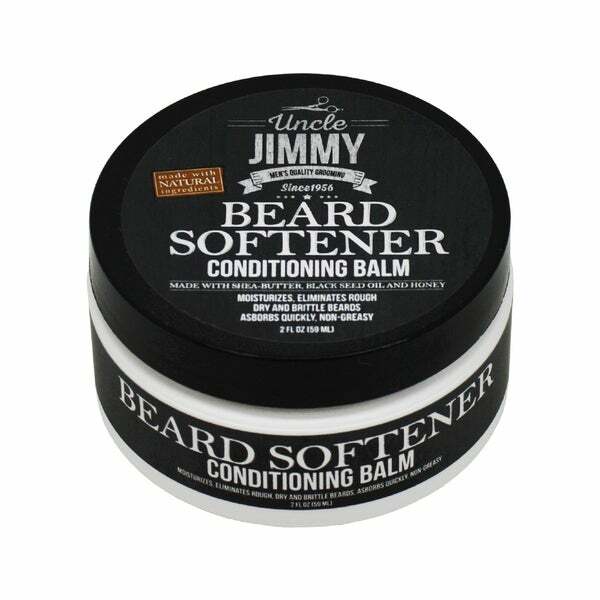 The beard softener will provide intense moisture, reduce ingrown hairs, and stimulate the hair’s natural growth system for a fuller, more manageable beard with a blend of black seed, honey and essential oils/extracts. Wishing you all healthy, smooth and glowing skin! And remember – if you have a specific skin complaint, see your doctor who may be able to recommend specialist products or a dermatologist who can help. All products featured in this blog guide are available to buy at People’s.